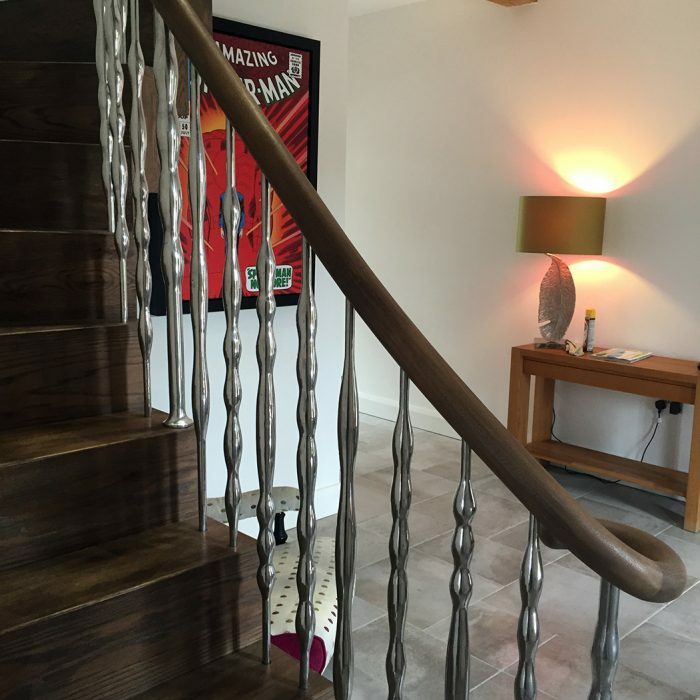 Balustrades are a key component for any staircase feature. ZigZag Design Studio carefully handcraft bespoke balustrades for beautiful staircases to integrate into any interior of distinction. 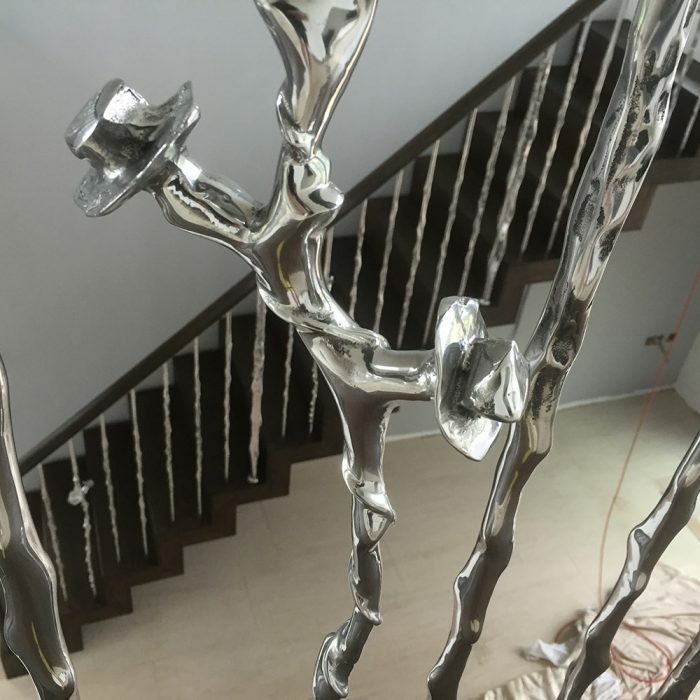 Our experienced team work closely with interior designers, architects, developers and private clients alike to solve problems and create bespoke balustrade solutions no matter how complex the design. 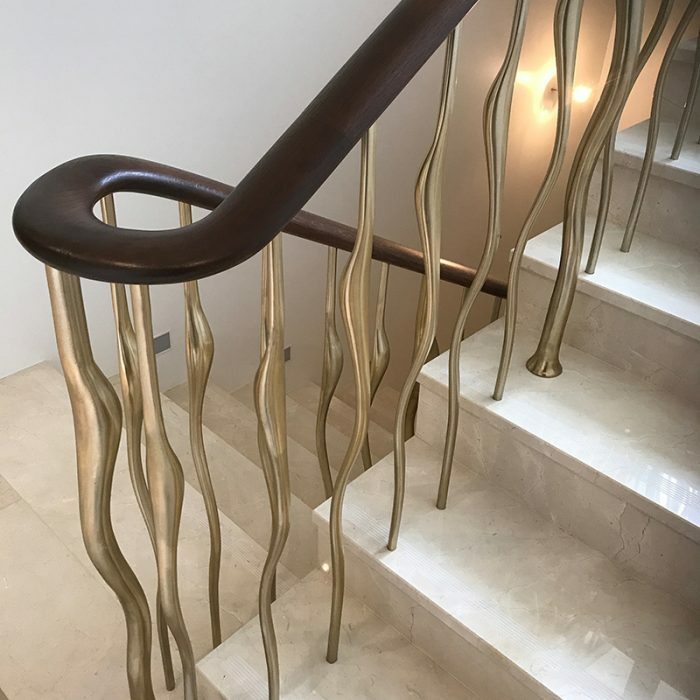 Whether you are looking for the most extravagant spindles (balusters) to complement an elegant interior; or mix different materials to blend seamlessly together in the balustrade system; or whether you are simply looking for inspiration. 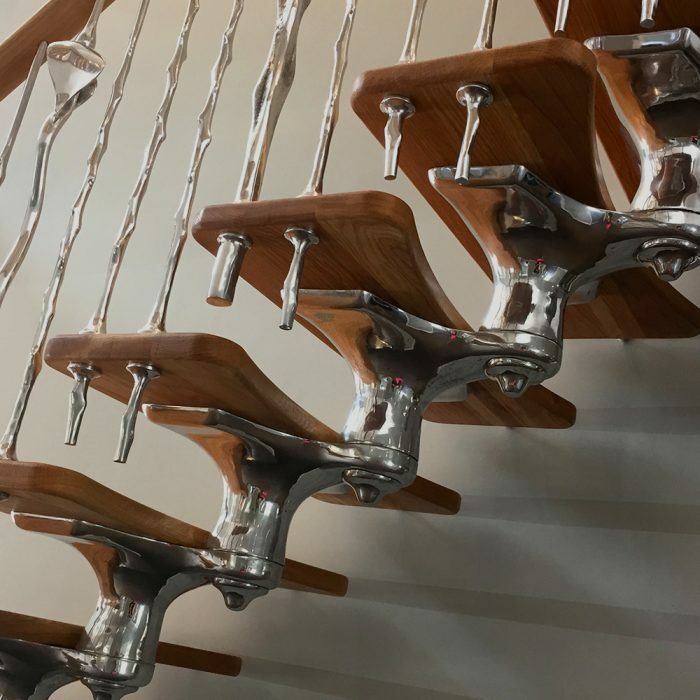 We are proud to be a British manufacturer, combining old-school manufacturing methodologies with the latest in design technology, to create our bespoke balustrade designs. 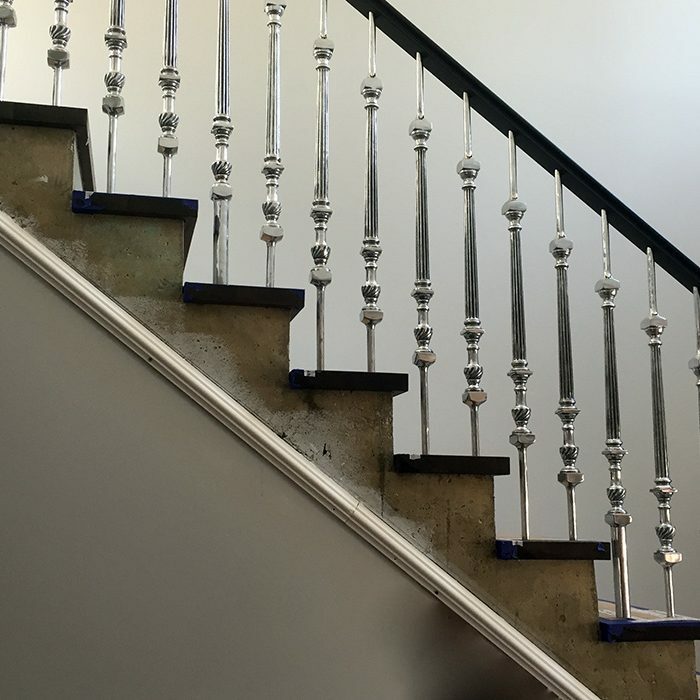 Our balustrade and staircase designs are completely unique to every style and size of interior, including traditional, modern and contemporary. A popular baluster style is our award-winning Wisp range, featuring wisp like curves that twists and turns up your staircase and along your gallery. We are incredibly proud of this range and it won Gold at the New York Design Awards in 2016. Expert craftsmanship is the foundation of our sculptural balustrades, staircases and range of bespoke furniture for interiors of distinction. 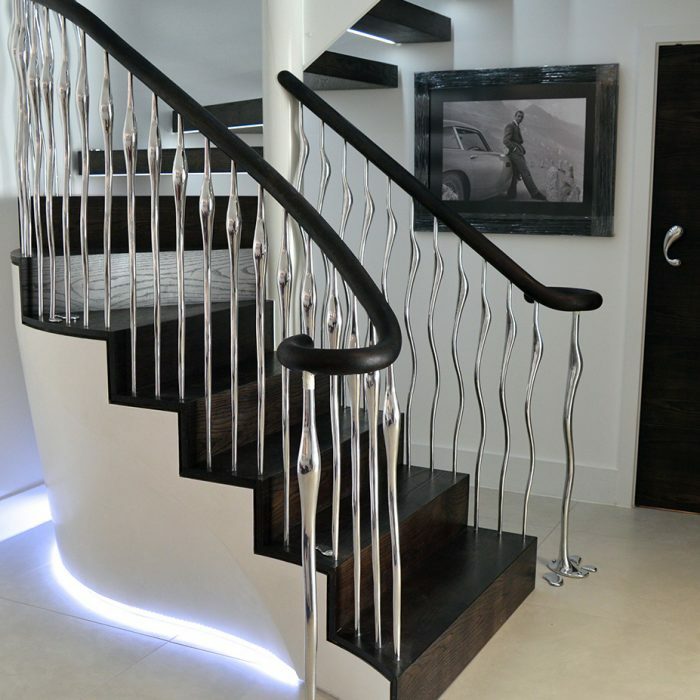 We help clients commission a new staircase or internal balustrading offering unprecedented design options as well as a highly personal and thorough project management service.